Records exist of a ferry service across the River Mersey between Birkenhead on the west bank and Liverpool on the east since the middle ages. In 1332 the monks of Birkenhead Priory were granted exclusive rights to operate a ferry; following the dissolution of the monasteries these rights passed through a number of operators eventually to the township of Birkenhead. 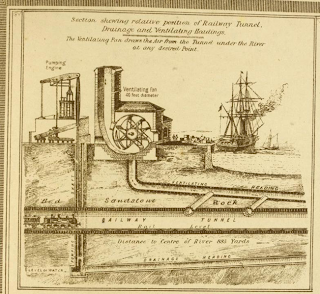 It is recorded that Marc Isambard Brunel suggested a road tunnel when designing the Birkenhead docks and from the 1850s a railway tunnel under the Mersey was proposed several times. The Mersey Pneumatic Railway received Royal Assent for a single line pneumatic railway in 1866 but failed to raise the necessary capital. In 1871 the Mersey Railway was given the necessary permissions for an orthodox two track railway connecting the Birkenhead Railway near their Rock Ferry station through a tunnel under the Mersey to an underground station serving Liverpool. However the company found it difficult to raise the necessary funds until Major Samuel Isaac undertook to build the railway in 1881. He contracted construction to John Waddell, who appointed Charles Douglas Fox and James Brunlees as Engineers. 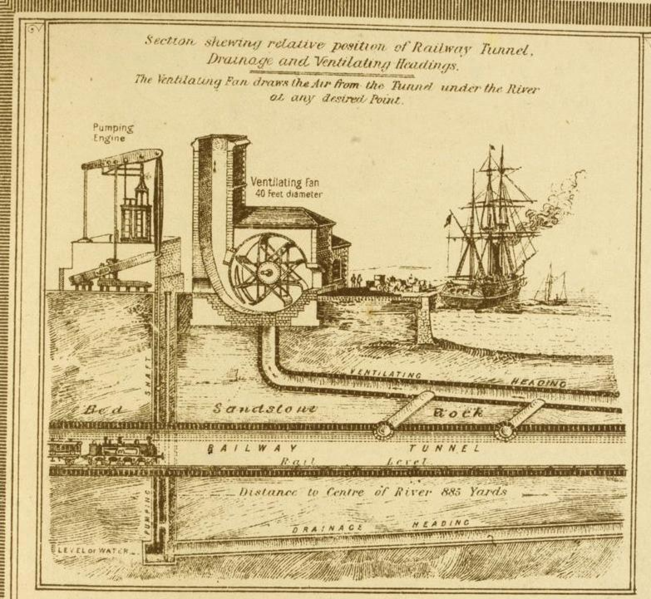 Construction of the river tunnel started from two 180 feet (55 m) deep shafts, one on each bank, containing water pumps. Three tunnels were to be dug, one for the two tracks, a drainage tunnel and a ventilation tunnel. A 7 feet 2 inches (2.18 m) diameter ventilation tunnel was dug as the pilot heading. When the tunnel was opened, fans on both banks changed the air in the tunnel every seven minutes. The geology of the riverbed meant that the plans were changed and at the deepest section the drainage and ventilation tunnels combined. The grade on the Liverpool side was increased to 1 in 27. Estimates of the influx of water varied from 5,000 imp gal (23,000 l) to 36,000 imp gal (160,000 l) per minute; after the works were completed the maximum pumped out of the tunnel has been 9,000 imp gal (41,000 l) per minute. 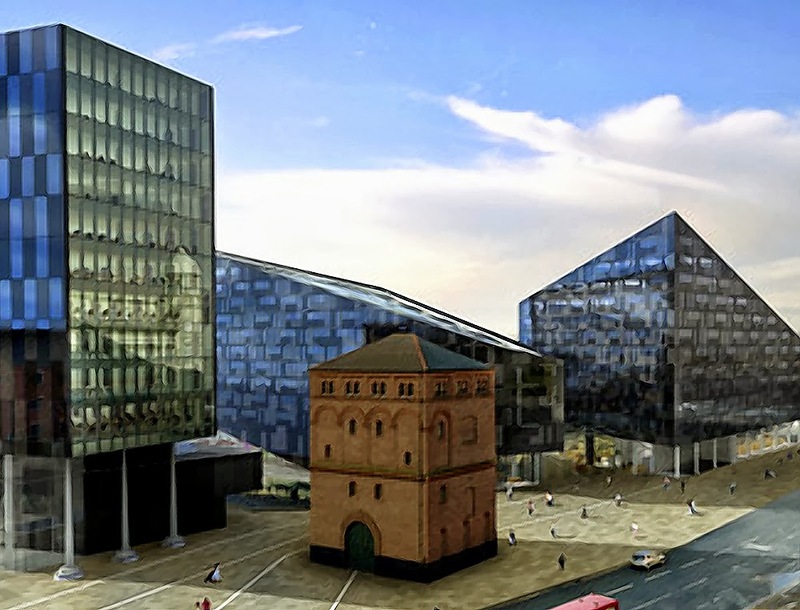 There were two pumping stations, Shore Road Pumping Station on the Birkenhead bank near Hamilton Square and Georges Dock Pumping Station on Mann Island on the Liverpool Bank. The Railway's Workshop was built next to Birkenhead Central; stabling was also provided at Birkenhead Park. Hamilton Square in Birkenhead and James Street station in Liverpool. Green Lane and Birkenhead Central were below ground level in open cuttings whereas James Street and Hamilton Square were deep underground and accessed by lifts. In 1888 a branch to Birkenhead Park station opened, with a connection to the Wirral Railway. 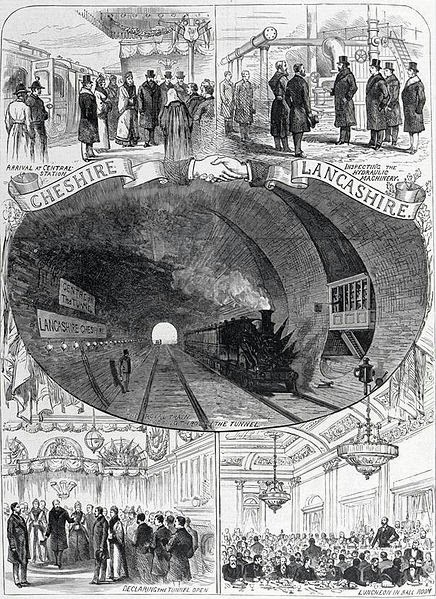 This was followed in 1891 by an extension from Green Lane to Birkenhead Railway's Rock Ferry station, and in 1892 the tunnel was extended from James Street to a new underground station at Liverpool Central. The railway opened with steam locomotives hauling four-wheeled 27 feet (8.2 m) long wooden carriages, with first, second and third class accommodation provided in unheated compartments. In 1900 in the peak periods trains left the Rock Ferry terminus every 7 1⁄2 minutes and the Park terminus every 15 minutes, giving a train every 5 minutes between Hamilton Square and Liverpool Central. At off-peak times this was reduced to a train every 7 1⁄2 minutes, alternately from the Rock Ferry and Park branches. The scheduled journey time between Rock Ferry and Central was 14 minutes; between Park and Central 10 minutes. The traffic peaked in 1890, when ten million passengers were carried, and then declined. Two years previously the company had been declared bankrupt and receivers appointed; it was unable to pay the charges on its debt. The steam locomotives at five-minute headways left a dirty atmosphere in the tunnel that the mechanical ventilation was unable to remove. Passengers preferred the ferries. Some other urban railways had been constructed for electric traction: in 1890 the City and South London underground tube had opened with electric traction, followed in 1893 by the more local Liverpool Overhead Railway. Plans for electrification of the Mersey Railway in 1895 were shelved as the company and its investors were fighting in the courts; in 1897 a new board of directors was elected. In 1898, £500 was released for further expert advice that recommended electrification at a cost of £260,000. By then, the railway had attracted the attention of George Westinghouse, an American in the UK looking for business for his UK works, the British Westinghouse Electric and Manufacturing Co. Ltd that opened at Trafford Park in 1899. Westinghouse considered the railway would be profitable with electric traction and undertook to fund electrification, promising to complete in eighteen months. 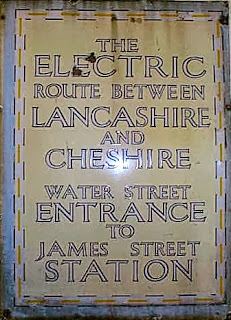 Electrification was approved by Parliament in the Mersey Railway Act of 1900, which also terminated the bankruptcy and in July 1901 the Westinghouse contract was signed. All electrical equipment was shipped from the US, including power system plant equipment. A power station was built at the Shore Road pumping station and was designed, anticipating extension of the electrification to the Wirral Railway, although this was not to occur until 1938. The new multiple train units had British wooden bodies on US bogies; 24 motor cars and 33 trailer cars were provided and trains were initially 2-car or 4-car sets. The driving positions controlled all the motors on the train by the means of a low voltage control signal. After inspection by the Board of Trade, the line was approved as fit for traffic on 3 April 1903. The last steam trains ran on Saturday 2 May, and the current to the electrified rails switched on at 3:30 am. 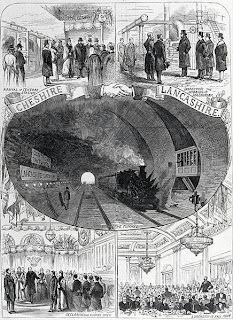 At 4:53 am the first electric train arrived at Liverpool Central and for the Sunday morning trains ran at 3-minute intervals without passengers. Passengers were admitted when the advertised Sunday service started at noon The stations were cleaned and whitewashed and electrically lit. A service was provided every three minutes from Liverpool Central to Hamilton Square and journeys were faster: Central to Rock Ferry was eleven minutes, down from fifteen and the Central to Park journey was reduced by two minutes, down to eight minutes. 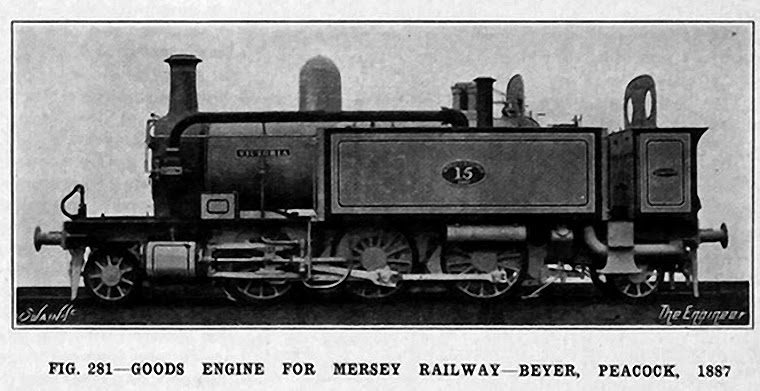 As a local railway the Mersey Railway remained independent in the 1923 grouping, although the Wirral Railway became part of the London, Midland and Scottish Railway (LMS). The Wirral had authority to electrify its lines, but had not done so, and passengers making through journeys had to change at Birkenhead Park. 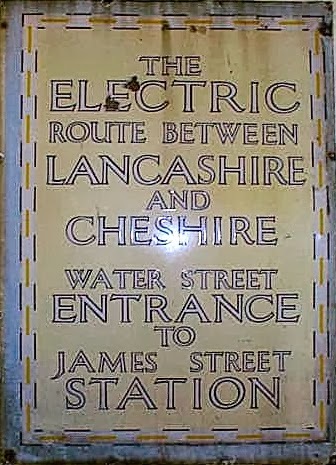 However, in 1926 discussions started on electrification and through running and the Wirral section was electrified. British Rail, to be classified Class 503. In 1948, on nationalisation of the railways, the Mersey Railway became the Mersey section of the London Midland Region. In 1956 these trains were replaced by further trains similar to the LMS Class 503 design. 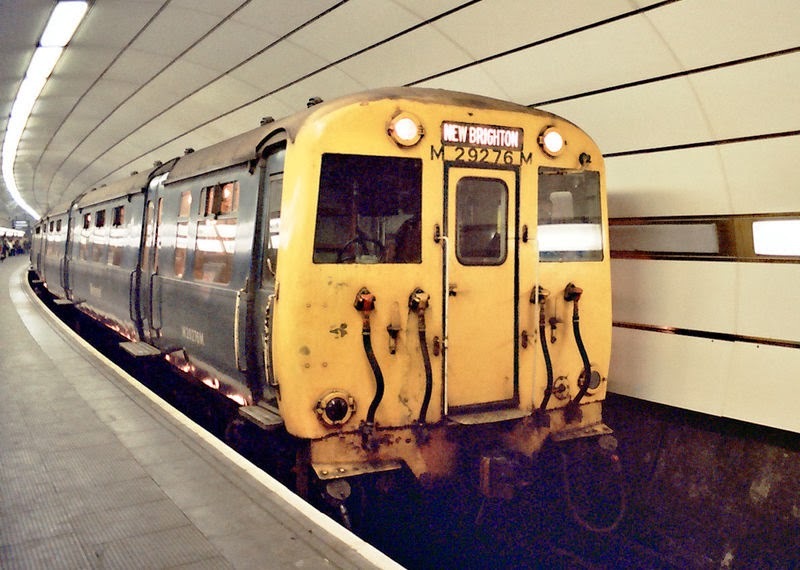 A single track loop line was built between 1972 and 1977, and since 1977 trains from James Street have travelled round the loop calling at Moorfields, Liverpool Lime Street and a new platform at Liverpool Central before returning to James Street. The original two platforms at Liverpool Central were reused as part of the Northern Line. 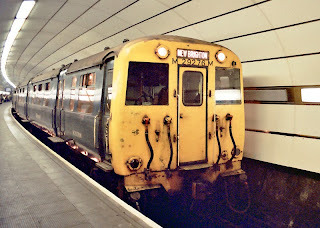 The tunnel and railway are still in use today as part of the Wirral Line of the Merseyrail commuter rail network. Shore Road pumping and power station in Birkenhead is currently a museum. Georges Dock Pumping Station on Mann Island in Liverpool is a grade II listed building.